A couple of weeks ago we had a fabulousy unusual home which was affordable and ecological. Now we have a Beatles band version of the song LSD – Luxury in the Sky with Diamonds! Can You See It? 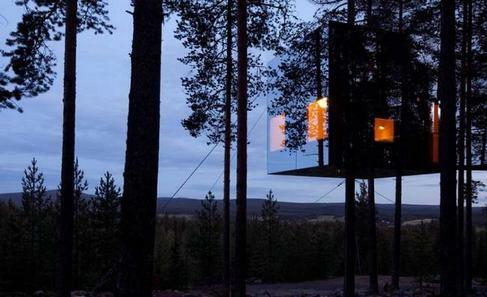 New Heights of Unique Home (c) 2012 Treehotel AB. We couldn’t help going on past George’s website in finding many more of these small, but unusual types of home. Even abroad. Due to their size, these buildings can be bought and brought back to the UK. A virtual wander around Sweden and we hit upon a diamond. Almost literally. Some readers – probably just a few – may have already seen this marvellous creation as shown in the photograph above. We hadn’t and hope that it provides our readers with as much delight as the buzz we have here at this end of the website keyboard. 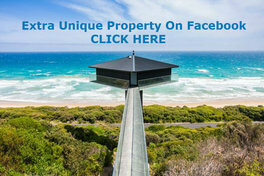 Just seeing the wonderful designs for living that the human mind can transform from an idea to reality makes it such a pleasure to keep this unique property website running. 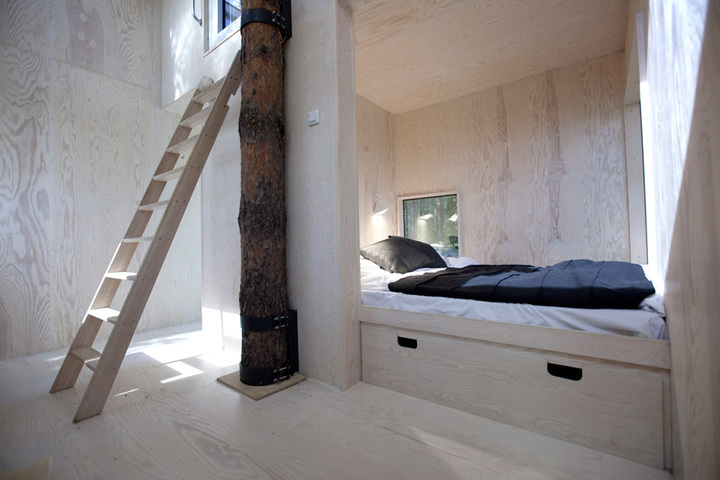 Outside Almost Invisible – Interior Very Real (c) 2012 Treehotel AB. The interior is sublime. Whether you are buying this incredible structure for your guest room in the garden, or home-office; even as a series for the new trend, rural style hotels cropping up, there will likely be wonderment in anyone first setting eyes on this visual feast. Strangely it is the virtual invisibility at certain angles that captures the imagination best. Holds the eyesight almost hostage. 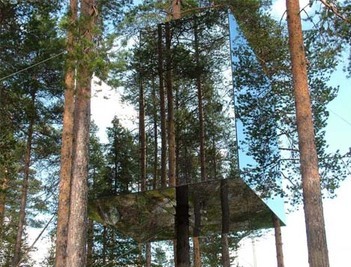 A Hint Of Reality From Invisibility (c) 2012 Treehotel AB. The mirror home units are designed and manufactured to a high specification in Sweden. Currently there is a four month lead-in time for building. Then of course, for UK buyers there is arranging the site survey – which should prove interesting for many UK building site surveyors and project managers. As well as the planning permissions, transportation of the building from Sweden to the United Kingdom, etc. Tenure: Usually Freehold – Depending On Your Land Title Ownership. Guide – Price on Application. With the topical television programmes from George Clarke with Amazing Spaces, and Kevin McCloud’s Man Made Home, there seems to be a trend for quiet recreational land where coppicing /land management buildings…. 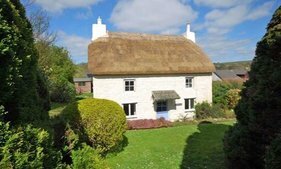 Small truly unique properties can be built, utilising various helpful clauses in agricultural aspects to the planning laws. Readers should always check their legal position on planning matters before commiting sizeable offers on land. This listing at an auction guide of £75,000 for a prime piece of 2.75 acres of agricultural land in Surrey represents something quite interesting. The main question is whether to look at a barn conversion, or something quite different. Something that George or Kevin might approve of. Something a little unusual. Unique and perhaps eccentric? 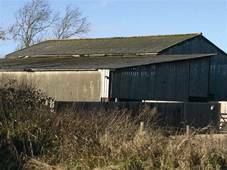 Brief Auction Description: Freehold Barn, 4400 Square Feet & Agricultural Land. 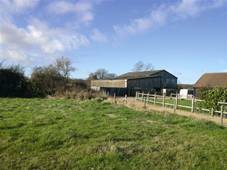 2.75 Acre Development Potential Subject to Planning Permission. Location: Blue Anchor Barn, Eastbourne Road, Blindley Heath, Lingfield, Surrey, RH7 6JL. Contact Barnard Marcus Auctions Tel: 020 8741 9990 or 020 8741 9991. 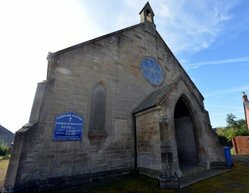 The Old Free Church, Strathpeffer (c) 2012 Strutt & Parker. This wonderful structure created by very talented stonemason work many generations ago just caught the eye this week. Both the exterior with classic bell tower and steeple, and the interior with ornately crafted wooden balcony, pews and ample character, including a spiral staircase. What a wonderful project this fabulous building presents. 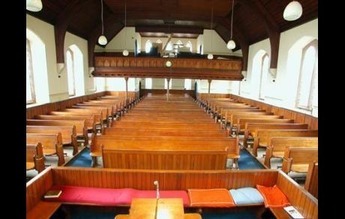 The Old Free Church Interior (c) 2012 Strutt & Parker. 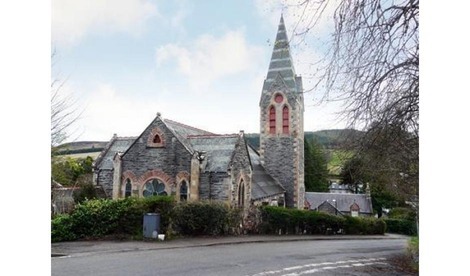 General description from the agents: Strathpeffer Free Church occupies an outstanding position within the Conservation Area of one of Strathpeffers’s most admired locations on the Eastern side of the village. The Church is B Listed and the sale of the property is likely to attract buyers from both the residential and commercial markets due to the flexibility of the accommodation and further development potential, subject to the appropriate permissions. The Old Free Church Bell Tower & Steeple (c) 2012 Strutt & Parker. The main walls are of traditional stonework under a pitched roof clad in slate and date back to the late 1800s. The Church is entered via an entrance vestibule which forms the lower level of the bell tower. This leads into the main body of the church with American pitch pine pews in traditional church formation and stained glass windows to each elevation. There is a kitchen with wc and a large church hall on the lower level. A spiral staircase leads to the upper seating area and a small office. 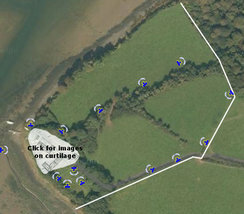 Outside: The church grounds extend to circa 0.25 acres and have open aspects to the front. 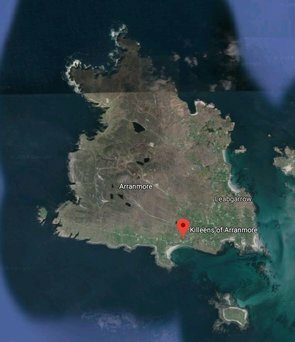 They are bounded with hedgerows to one side and to the other there is an open area of land with further development potential subject to planning.? 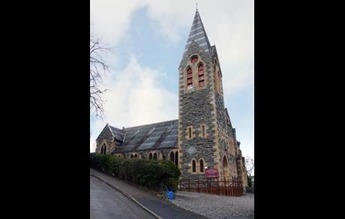 Location: The Old Free Church, Golf Course Road, Strathpeffer, Ross-Shire, IV14 9AT. Contact Strutt & Parker Agencies Tel: 01463 723597 or 01463 719171 – Kerry Grant. Here is our best endeavour to find a reader “Something with water around it in Hampshire”. Perhaps a moat is a little too literal, but here it is. 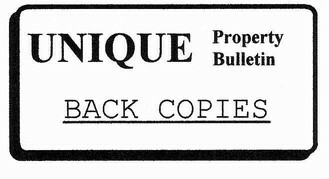 We also suspect that you will need to be somewhat minted to purchase this magnificent pile. But one thing we do know is that our readers are a very broad spectrum of folk. Both in character and building budget range. 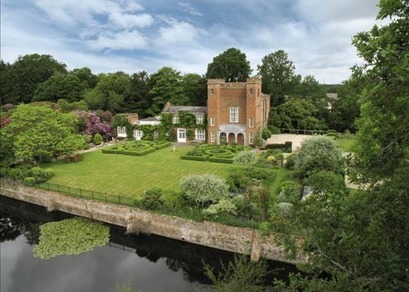 General description: Moated manor house with an estate of medieval origins and historic park land. 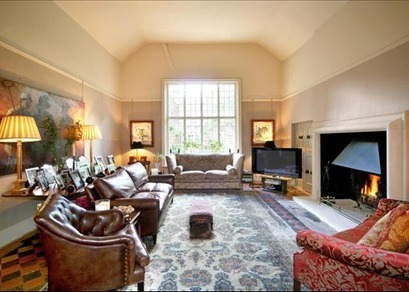 The house has excellent reception rooms, 7 bedrooms and beautiful formal gardens. In addition are 3 cottages, stables. Lakes, arable and woodland. 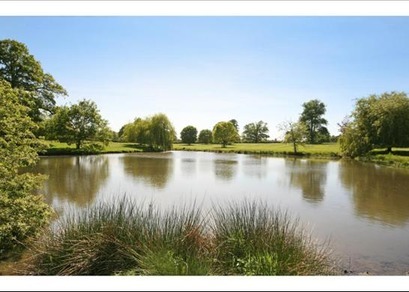 Location: Beaurepaire Manor and Estate Park, Bramley, Hampshire, RG26 5EH. 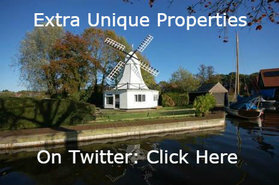 Contact Knight Frank Agencies Tel: 020 7861 1064 – Clive Hopkins, or Mark Potter on 01256 350600. A possible Amazing Space candidate. Not a bad price either. 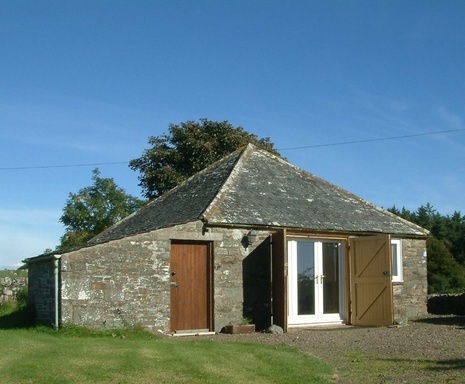 This detached stone-built studio outbuilding has planning consent for extension and conversion to a residential dwelling in a beautiful rural setting near to the artists town of Kirkcudbright. 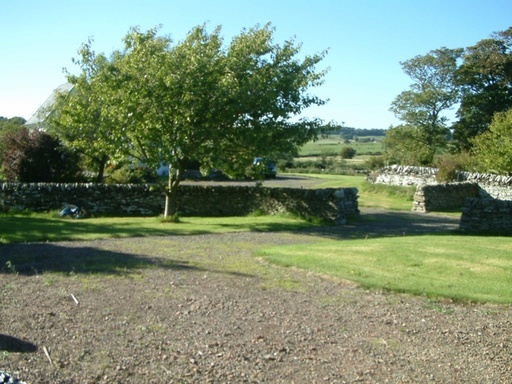 Clauchendolly Studio is a traditional Galloway stone-built outbuilding and garden in a stunning rural location in the Stewartry of Kirkcudbright, just off the B727 near to Brighouse Bay. The garden has a view of the Irish sea. The building is currently used as an artists studio but has full planning consent for the extension and conversion of the building to form a 2 bedroom dwellinghouse. The current owners have adapted the building to form the current studio, by installing UPVC double glazed windows and French doors, as well as insulating 2 of the walls and installing 3 electric storage heaters. Electricity and telephone are both connected to the property. Location: Clauchendolly Studio Barn, Borgue, Kirkcudbright, Dumfries and Galloway, DG6 4SG. Contact Smith Gore Agencies Tel: 01387 263066. 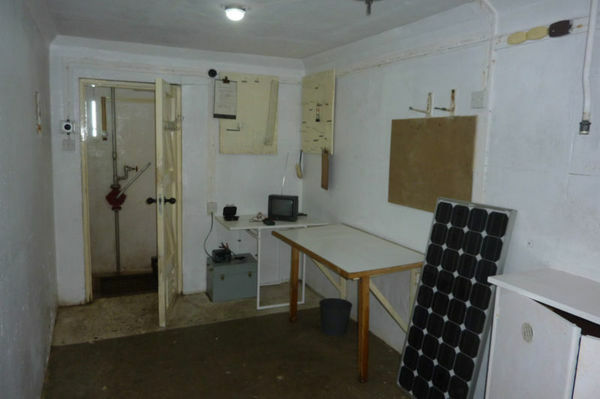 UKWMO – Royal Observer Corps Cold War Nuclear Bunker Sold For £17,501. …. 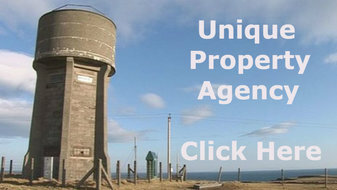 added to an email this week from a reader asking if we knew of any other nuclear bunkers for sale – UKWMO ROC – United Kingdom Warning and Monitoring Organisation Royal Observer Corps Bunker. But the above UWWMO Bunker has been sold. UKWMO – Royal Observer Corps Main Underground Room. We even bid on one of these about 20 years ago ourselves, and at that time several dozen were being sold off. Although our offer was around £7,000, we were outbid. For some reason these cold war relics still command interest and a value. 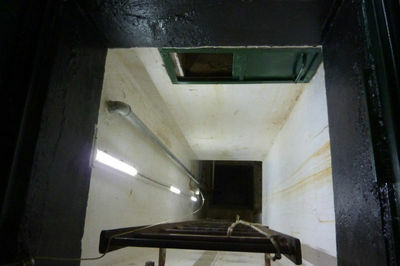 UKWMO – Royal Observer Corps Access To The Underground Bunker. 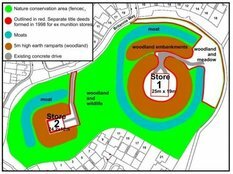 So if you have a nuclear bunker for sale, please consider getting in touch with us at …..
We have a definite cash buyer to introduce you to, and it will not cost any UKWMO ROC station bunker owner a penny to list their underground bunker on the Unique Property Bulletin website. Wartime Bunker & Added Country House, Jersey (c) 2012 Savills. Almost a priceless relic. Well you will have a bit of an atomic shock when you catch sight of the price. 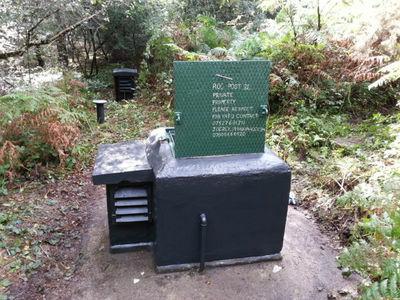 A little more than the £9,000 to £20,000 standard UKWMO Bunkers have gone for in the past. Following our reader’s request for a bunker, we have started searching and this appears to be the only one available just now. 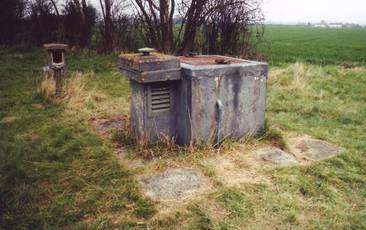 In fairness this is a different sort of bunker – dating back to the second world war. 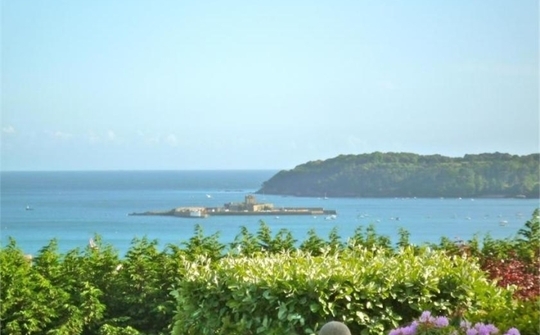 It also comes with a very nice house, and a historically expensive location – the Island of Jersey. General description: Outstanding Sea Views 5 Bedrooms, 4 Reception rooms 5 Bathrooms, 4 En Suite Pool Complex, field for grazing 2 x 2 bedroom guest flats. An outstanding country house, originally built in 1932 and considerably extended around 25 years ago, commanding far reaching views to sea over the whole of St Aubin’s Bay. Located on the top of Mont les Grupieaux in St Peter, the property stands in approximately 1.5 acres with a small field of approximately 1/2 acre just across the road. The airport is literally five minutes drive away and St Helier is less than fifteen minutes. Wheatlands 9 hole golf course is literally 150 yards away. An outstanding country house, originally built in 1932 and considerably extended around 25 years ago, commanding far reaching views to sea over the whole of St Aubin’s Bay. The garden is gently sloping with a spectacular pool complex with changing rooms and plant room, a wartime German underground bunker with two chambers and a current planning permission for the establishment of a tennis court. Entrance Hall, Cloakroom, Drawing Room, Sun Lounge, Dining Room, Breakfast Room, Kitchen, Utility, 5 Bedrooms, 5 Bathrooms (4 en-suite), 2 x 2 Bedroom flats, Indoor Pool, Wartime Bunker, Small sloping field, granite crazy paved driveway and forecourt, parking, garaging for three. Location: Bunker and House, Les Grupieaux, St. Peter, Jersey, JE3 7ED. 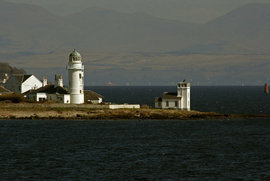 Contact Savills Tel: 01534 722 227 – Mr Michael Dean. Please remember, in addition to our weekly Unique Property Bulletin every Sunday at 9pm, we also publish a regular monthly Feature Article to help readers locate property. This special anniversary edition proves how we did and YOU CAN find and fund unique property to buy. Just check out our right hand sidebar links for help on this. 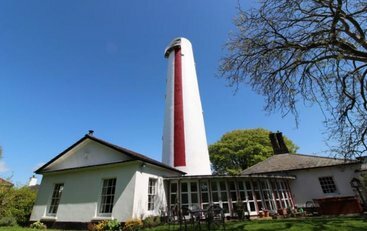 Examples of actual buildings bought by ourselves and other members include unusual things such as this former Gaswork House on the Island of Ailsa Craig …. Our current monthly FEATURE has been uploaded and is now available via this link …. The guide price for this interesting building at that time was published as £75,000. 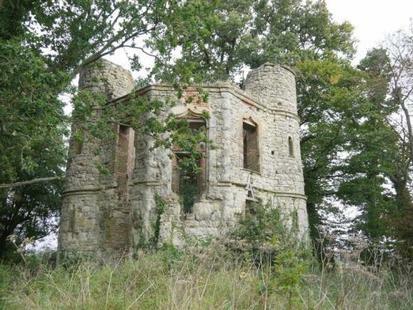 On the day of the auction – 26th November 2012, Dinton Folly – otherwise known as Dinton Hall Castle Ruin – had the auctioneer’s gavel drop and sold at £56,000. A lot of effort will be required, but to our regular research readers from the television companies who scout for candidate properties to follow from ruin to Restoration Man or Grand Design entry, this may well be a building worth the effort of contacting the new owner to see if they would like to share the progress from Dinton Castle Ruin’s current state into the dreams of whatever the new owner eventually realises. From our perspective we wish the new owners very good luck. They certainly had a decent amount of luck on the day of the auction at that price. However you get on, please consider letting us know about your unique adventures? You can do this via an email – just click HERE Thank you. Air Fields, Air Control Towers, Aircraft Hulls, Air Raid Shelters, Amazing Spaces, Barns, Bridges, BT Telephone Exchanges, Bunkers, Canals, Canal Boats, Castles, Caves, Churches, Cinemas, Coastguard Towers, Container Houses, Customs Houses, Dams, Distilleries, Earth Dwellings, Engine Houses, Fire Stations, Foghorn Buildings, Gasometers, Harbours (For Ships), Helicopter Houses, Hospital Buildings, Hotel Buildings, Ice Houses, Infinite Spaces, Islands – Private, Islands – Small Community, Jails, Keepers’ Houses, Libraries, Lifeboat Stations, Lighthouses, Lodges, Lookout Defences, Loos, Martello Towers, Ministry of Defence Buildings, Movie Sets, Multi Storey Carparks, Nuclear Bunkers, Oil Rig Modules, Orangeries, Police Stations, Post Offices, Printing Works, Pubs, Pump Houses, Queen’s House, Railway Carriages, Railway Stations, Rocket Stations, Schools, Shipping Container Houses, Ships, Ship Hulls Landbased, Signal Boxes, Steam Houses, Stately Homes, Subterranean Dwellings, Tide Mills, Toll Houses, Tunnels, Underground Railway Carriages, Underground Stations, Unusual Eccentrics, Valve Houses, Walled Gardens, Warehouses, Water Towers, Vicarages, Water Works, Wild Cards, Winch Houses, Windmills, Wind Turbines, X Factor, Yachts, Zoos.